Is knee pain limiting your mobility and causing you pain? At Adjust Your Health Chiropractic and Massage Therapy, we offer a range of services to treat and heal your knee pain. Whether your pain and limited movement is the result of an injury, caused by joint degeneration (osteoarthritis), or a symptom of a health condition, we offer safe, effective knee pain treatments that address the cause of your pain, improve mobility, and provide relief. As your trusted chiropractor in Leawood, we genuinely care about your health and well-being, and when you’re in pain, we’re passionate about helping you find an optimal solution. From gentle chiropractic care to medical massage and needle-free acupuncture, our natural knee pain treatments can relieve your pain and get you moving again. If you’re ready to experience a noninvasive treatment for your pain, don’t spend time searching “knee pain relief near me” or “knee pain treatment near me,” when your Top Rated Local® chiropractor in Leawood is just a click away. Why Choose Adjust Your Health for Corrective Chiropractic Care in Leawood? Knee pain is one of the most common pain complaints affecting people of all ages and walks of life. According to the American Chiropractic Association (ACA), knee pain and knee-related problems account for about 11 million doctor visits each year. Whether caused by injury, a ruptured ligament, torn cartilage, age, overuse, infection, or an underlying issue elsewhere in the body, knee pain can reduce your quality of life by causing mild-to-excruciating pain, limiting movement, inhibiting proper function. As a result, knee pain can limit your ability to perform routine activities and keep you from doing the things you enjoy most. The Mayo Clinic lists knee pain as one of the most common types of orthopedic pain that is caused by a number of factors. Why is this, exactly? The knee is the largest, most complex joint in the body and is classified as a “hinge joint” made up of the femur (lower end of the thigh bone), tibia (upper end of the shinbone), and knee cap. The knee’s control system is made up of many muscles that allow it to bend and straighten to keep you mobile and active, which are supported by tendons (attach muscles to bones), and ligaments (control motion by connecting bones). The knee is also supported by cartilage that functions as a shock-absorbing cushion when in motion. When any aspect of the knee is damaged, it can reduce the ability of the knee as a whole to function and move properly while causing symptoms like pain, weakness, and lingering ache. The knee is prone to injury not only because of its size and its complex structure, but also because the joint and supporting tissues are also susceptible to injury. Some of the most common knee injuries resulting from trauma include a ruptured or torn ligament, torn cartilage, minor or major strain, or a fractured knee cap. But there are other factors that can cause knee pain including age, wear and tear, overuse, infections, and other issues. Knee pain can affect nearly anyone of any age, but there are certain risk factors that make knee problems worse for some than others. 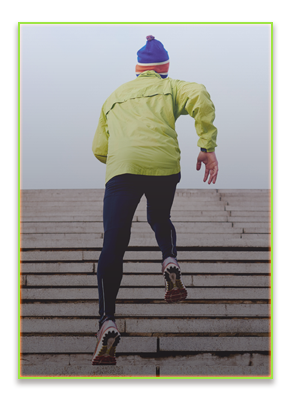 Knee injuries typically occur among athletes and individuals who lead an active lifestyle, as well as middle-aged adults who may be experiencing the onset of degenerative diseases like osteoarthritis, and seniors who typically suffer from joint pain and joint disorders that affect the knee. Why Natural Knee Pain Treatments? When it comes to finding knee pain relief, there is certainly no shortage of pain management options. From pharmaceuticals and supplements, to knee injections and knee surgery, you can choose from many different treatments. But of these, what are the side effects? Do these treatments address the root cause of the pain, or do they simply mask the pain, provide temporary relief, or cause months and even years of long recovery times and lingering pain? When it comes to relieving knee pain, we have a safe and effective alternative solution to prescription pain medications and painful, invasive knee surgery: natural knee pain treatments. At Adjust Your Health Chiropractic and Massage Therapy, our collaborative team is dedicated to finding natural solutions that target and treat the root cause of your pain and limited mobility. Here are the natural knee pain treatments we offer, all of which are customized to address the specific needs and concerns of each and every patient. These treatments can provide relief as a stand-alone therapy or may be combined for optimal relief. Our compassionate and experienced local chiropractor, Dr. Christina Carter, is dedicated to helping her patients restore their health and wellness through gentle (no twist) chiropractic care. As part of our chiropractic treatments, we can provide muscle therapy, passive and active stretching, cold and heat therapy, and many other modalities to relieve knee pain and enhance mobility. Dr. Christina is also a Fellow and Licensed member of the Acupuncture Society of America. As a skilled acupuncturist, Dr. Christina can apply electro-acupuncture, also referred to as “needleless acupuncture,” to relieve knee pain and restore mobility. Electro-acupuncture is based on the same philosophy and principles of traditional acupuncture, but without the insertion of needles. At Adjust Your Health, we believe that taking a collaborative approach to your healing and wellness can provide more effective, longer-lasting benefits so you can live your best life. We’re proud to offer our patients medical massage treatments delivered by the hands of our compassionate, skilled, and intuitive team of massage therapists. Together, we can devise a customized treatment plan and deliver personalized care that targets and treats your specific knee pain, while addressing the cause of your pain. If you’re ready to take control of your knee pain so you can get back to doing the things you enjoy most, reach out to the Adjust Your Health team. We’re dedicated to helping you live a healthier, happier life free of pain and limited mobility. If you’re unsure of which natural pain relief treatment is right for you, please schedule a consultation with our chiropractor. In addition to our treatments, our in-house chiropractic radiologist, Dr. Jeff Carter, can take x-rays of your knee when indicated to help provide a better picture of what may be going on below the surface. Dr. Jeff can take and read the x-rays right in our office and share his findings to Dr. Christina and our amazing massage therapists to inform the most effective treatment plan for you. Contact us today to arrange an appointment for Top Rated Local® chiropractic and massage therapy in Leawood to relieve your knee pain and get you moving comfortably again.